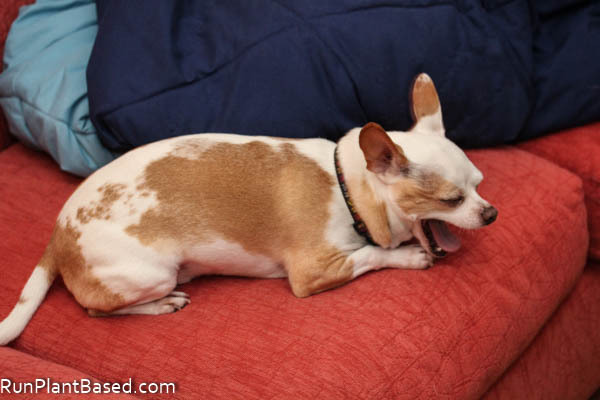 We’ve been getting some more rain here the last few days and some frustrated and bored chihuahuas who want more walks. 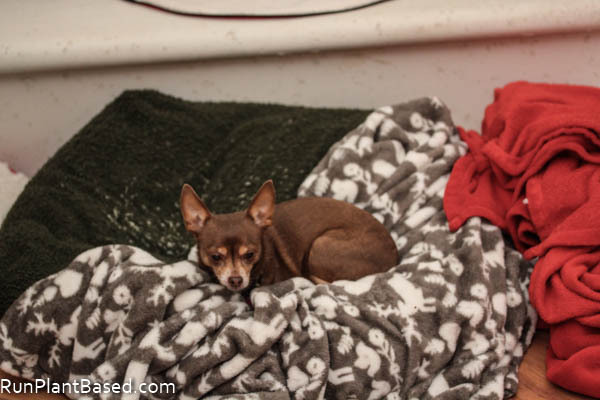 Leela has even been stalking me around the house for any hint of leash time. 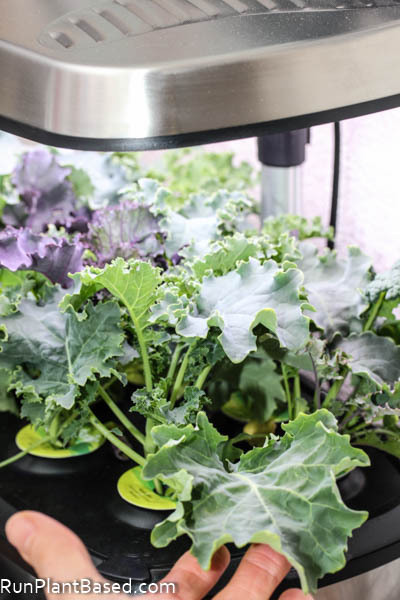 Rain outside is no problem with kale growing away in the AeroGarden inside, here’s what the kale looks like after 21 days! It’s time to start harvesting it for salads and smoothies! One of the studies Dr. Michael Greger mentioned in Sunday’s presentation is the link in red wine and prevention of breast cancer for women. He followed it up with eating red grapes is beneficial too because of the nutrient in the skin. 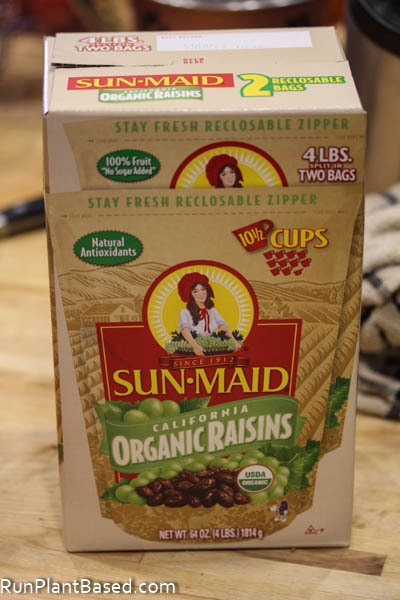 Or you could use organic raisins as a sweetener in blender sauces and smoothies in place of medjool dates. Especially when I scored this huge box of organic raisins from Costco considerably cheaper than medjool dates! 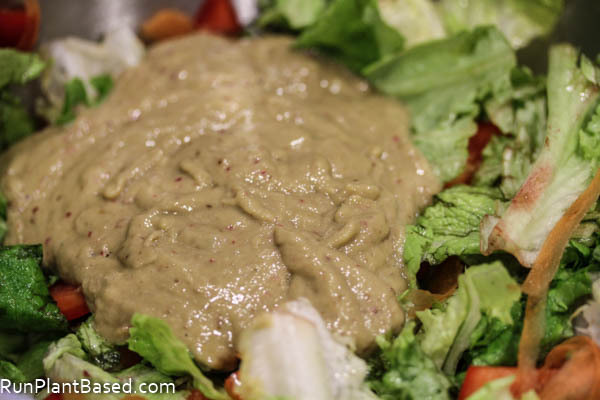 And got inspired to create a sweet and tangy avocado dressing with apple, balsamic vinegar, and Dijon mustard. 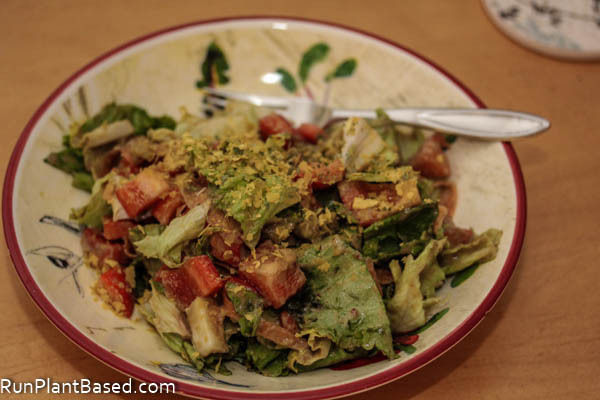 A vinaigrette recipe that had way too much oil and sugar in it inspired this version and it was perfect for a hearty romaine salad. Okay, the color looks interesting, sure. But it makes up for that with texture and zingy flavor! And would be perfect with kale and spinach salads too. Get your grapes on with this super salad combo! 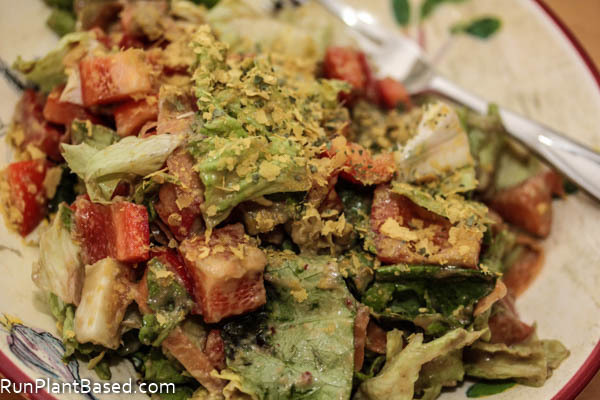 This apple dressing is super simple, just like you said!! I’m trying to eat the best diet possible and read that apples are a great substitute for honey for a vegan diet and as a sweetener. Although I love my stevia too! Have to try this. 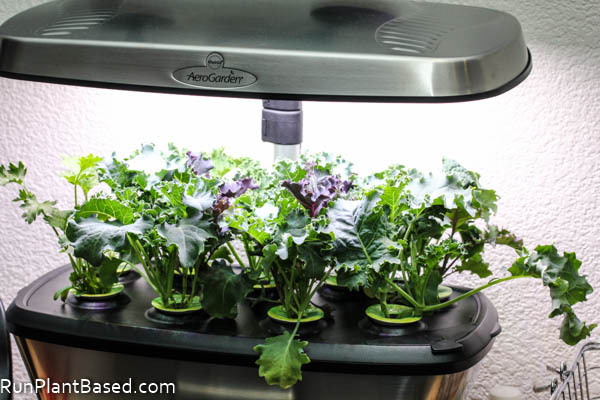 Thanks and it’s a great way to sneak more fruits and veggies in! I didn’t add salt or pepper and found it didn’t need it. Me too, perfect for healthy creamy and decadent dressing! I love Dr. Greger. He’s matter of fact and funny at the same time. We need more doctors like him. Agreed, his was such a great presentation and I’m enjoying the videos on his weekly emails. Me too, I’m always chopping up apples and adding them to salads!